The 31 days with Jesus has come to an end but I need to work on living in relationship with God always, don't you? 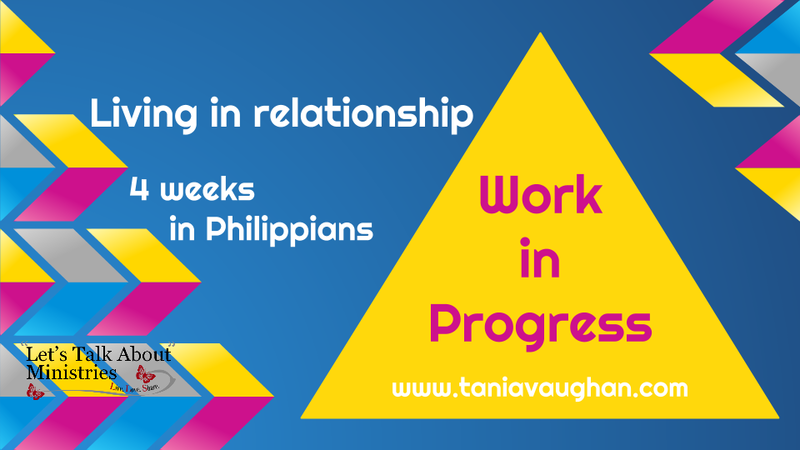 I want to encourage you, so starting on Thursday 4th September I will be doing a weekly study for four weeks looking at the four chapters of Philippians. If you're already subscribed you will receive it straight to your inbox each Thursday, if not, you can subscribe on the top right of the page. The study will also be posted on Twitter and the Let's Talk About Ministries Facebook page so go along click like and set 'get notifications'. However you prefer to receive information it's there for you. Starting on Thursday 4th September with chapter one and continuing on Thursday's 11th, 18th and 25th. This September spend one day a week with God - Living in Relationship.